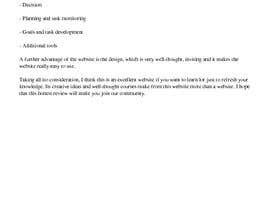 Please go through the course and write review what you like most. As entry write your name used on the course page. Only reviews shown at course page will count. All participants will have time management course for free. Sir, can you please award and finish the contest? the wait is killing me. Please rate my entry #9 . 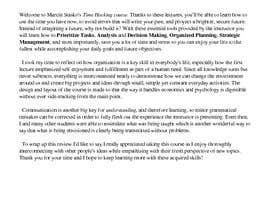 I have written the review for the course on the link given as well , after completing the course. I can only grade reviews with are shown at course page. Make sure that you have to go through all classes.